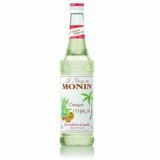 Monin Orange syrup in stylish 70cl glass bottle. The sweet and tart, tasty and juicy orange loved all around the world originates from an ancient and sour-tasting wild Chinese predecessor. Everything about the modern orange fruit is lovable - the colour, the fresh aroma, the tangy sweet taste. Most oranges, like other citrus fruits, are consumed fresh or made into juice. The taste of orange fruit and rind are also much enjoyed in marmalade, flavourings and confections, and of course in Monin Orange. 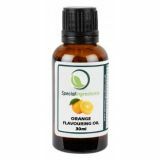 Taste: Orange peel smell, candied orange taste. Applications> Cocktails, sodas, smoothies, fruit punches and teas. 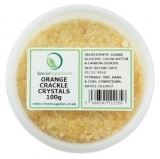 Sugar, water, acidifying agent: citric acid, concentrated orange and lemon juice, natural orange flavouring, colouring agents: E161b, E163, emulsifiers: acacia gum, ester gum. Total fruit juice: 12% minimum, including 7% orange juice.